Returning to the Sunshine State. Kinda. One Friday night, not long after I arrived in central Maine, my dad sent me a text containing a photo of the first page of a book he was reading. The line he was pointing out, and I’m paraphrasing here, read: “Traveling north on I-95, somewhere between Augusta and Bangor …”. He was thrilled to now know roughly where both of those cities were, not to mention someone who’d been to them. I’m still equal parts fascinated and in awe of the innate ability to navigate roadways with nothing more than highway numbers that most Americans seem to have been born with. I laughed out loud this summer as I listened to my friend TJ rattle off more digits than a phone book as he explained to someone how to get from Providence, R.I., back to somewhere in New York state. I have no idea how anyone keeps all those numbered roadways straight. But Interstate 95 has been somewhat symbolic to me since I arrived in Maine and finally got behind the wheel. 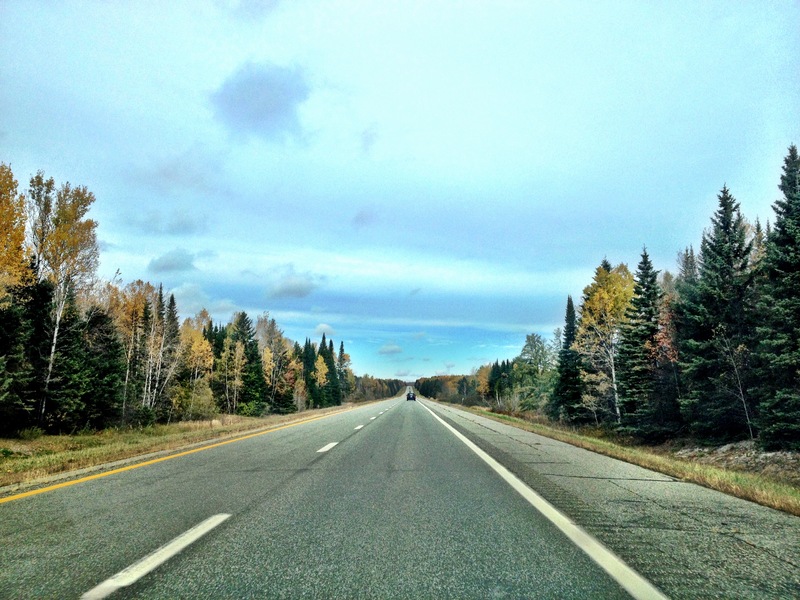 My first “long distance” drive took me up to Bangor and, on a beautiful winter’s day with visibility that seemed to stretch forever, I was filled with the strong urge to explore the northern reaches of the state and beyond. And as I’d drive home from work at the Kennebec Journal every night, I’d often look to my right as I crossed the Old Winthrop Road overpass and feel that the southbound lanes of I-95 were the arteries that led to the hustle and bustle of the big city life, in Portland, Boston and further from the idyllic nature of Vacationland, as well as the rest of this sprawling country and the great friends I’ve got spread around it. In a mostly futile attempt to educate myself on the difference in U.S. roadway designations, I was somewhat surprised to discover that I-95 stretches almost the entire length of the east coast, from Houlton to Miami, FL. And save for a few trips to Portland and as far south as Old Orchard Beach – as detailed in this very column – I’ve barely traversed any of I-95 at all. In fact, it took me until this past July to even drive myself across the Maine-New Hampshire border, having always used the bus or train to get to Boston and beyond. Narragansett, R.I., is the furthest south I’ve ever taken my trusty Outback. This is all relevant right now because, in a few short weeks, I’ll be seeing a great deal of the rest of this country from behind the wheel of said Outback. It’s with equal parts excitement, nerves and sadness that I say it’s because I’ve taken a job at the Palm Beach Post, so I’m moving to Florida. The general consensus between people who’ve heard the news is, “you’re leaving right in time to avoid another Maine winter,” but I promise it’s not about that. While there have been moments of frustration, physical pain and sheer panic during the various ice storms, blizzards and wintry mixes I’ve experienced here, I truly have loved seeing the seasons change – yes, all four of them. I do come from a place which I routinely explain as having “Florida weather,” but living in a year-round warm climate isn’t the only readjustment I’ll have to make. For instance, I’ve always felt that I was fortunate to learn to drive in the U.S. (on the opposite side of the car and the road) in a city where there’s not a lot of traffic, and plenty of back roads. If I was ever unsure about how a particular intersection worked, I could always just follow the car in front of me. I don’t think anyone ever leaned on their horn if I was late off the line at a traffic light, either. But one thing I do wonder is, are Florida drivers more frequent users of their turn signals? It’ll be an adjustment to return to life in a more densely populated area and a larger city as well. But there’s no way I could ever forget the neighborly feeling of community I found here in central Maine. Before I accepted the job at the Kennebec Journal and Morning Sentinel, nearly two years ago, I was told that while Mainers may seem distant or guarded to begin with, when they warm up to you, they’ll do anything for you. That’s never stopped being evident, from strangers offering me rides home from the grocery store during December 2013’s ice storm, to one pair of column readers meeting me at the Liberal Cup to bring me a jar of my country’s beloved Vegemite, all the way to the endless line of friends who came and wished me a happy 30th birthday at a surprise party a few weekends ago. I didn’t quite know what to expect when going from an anonymous face in a sea of two million people in Brisbane to “that Australian guy” in a city with 0.01 percent of the population, but I’ve never felt more at home. And that’s what central Maine has come to mean to me: it’s my first true home as an immigrant to the United States. I’ll always be grateful to the newspapers, not only for rolling the dice on some untested foreigner who’d applied for that same position two other times in the past two years (true story! ), but for giving me a platform to marvel about the weather and the Maine vernacular, pontificate about white male privilege and examine the impact of tragic loss on small communities. I’ll always have ties to this community, through the great friends I’ve made here, as well as my wonderful and long-suffering readers. I’ve never been anything less than flattered and humbled that you’d follow along with my adventures, send me advice or just let me know you enjoyed a piece in particular. So whatever Florida has in store for me, I’ll always treasure my Maine Walkabout. Florida…. Heard you had left. Will miss drinking beer you served and drinking beer with you- Oxbow Goods in the Woods and Baxter Brew fest. I learned the advantages of having an accent. Good luck, hope to drink a beer with you again, Paul’s dad. Thanks Mark! It was good getting to know you too. I shall return!